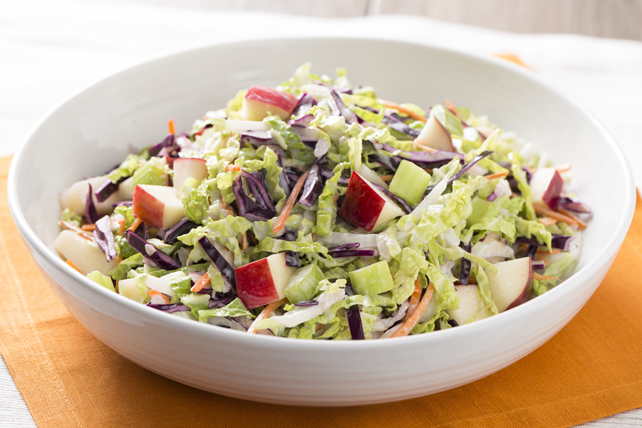 Two types of cabbage and the addition of apples team up to add both colour and flavour to this delicious coleslaw. Mix dressing, celery seed and pepper in microwaveable bowl. Microwave on HIGH 1 to 2 min. or until heated through, stirring after each minute. Add dressing mixture to cabbage mixture; mix lightly. Substitute savoy or napa cabbage for the green cabbage. Prepare using Renée's Poppy Seed Dressing.